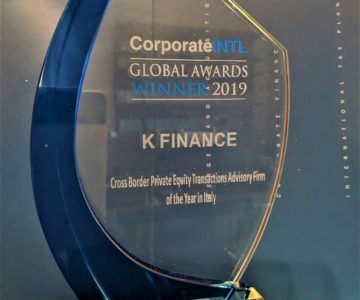 K Finance (Clairfield Italy) wins the Global Awards 2019 of Corporate INTL for “Cross Border Private Equity Transactions Advisory Firm of the Year in Italy“. 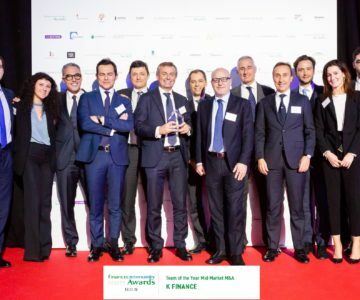 “We’re very proud of this award”, says CEO Filippo Guicciardi, “that attests our strong positioning with the Private Equity funds in Italy for cross border transactions. Congratulations to all the team”. The Spanish company Grupo GSS, specialized in customer management services, was bought by Covisian, an Italian company leader in business process outsourcing services and innovative customer care solutions. 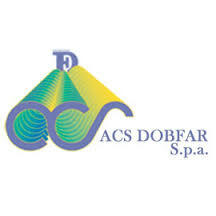 K Finance (Clairfield Italy) and Clairfield Spain were advisor to Grupo GSS. Details in the “M&A deals” section of the website. SLG, a Belgian group acquired by SLG management and Chequers Capital in June 2017, specialized in the development, production and sale of artificial turf for sports and leisure applications, acquired Limonta Sport. Details in the “M&A deals” section of the website. Olivotto Glass Technologies, an Italian company active in the design, engineering, production and sale of machines and plants for the manufacturing of hollow glass items, has been sold to the Chinese group China Glass Holdings, listed on the Hong Kong Stock Exchange (HKG:3300). Details in the “M&A deals” section of the website. Star Capital SGR and the minority shareholders sold a majority stake of Gia, an Italian company active in the design, production and sale of patented fixing solutions for the ITS industry, to Ethica Global Investments. Details in the “M&A deals” section of the website. Convert Italia SpA, an Italian company active in the design, engineering, production and sale of single-axis trackers for photovoltaic systems, sold 75% of its share capital to the American listed group Valmont Industries Inc. (NYSE:VMI). Details in the “M&A deals” section of the website. Schuler AG, member of the Andritz Group, acquired 100% of Farina Presse, the Italian manufacturer of presses and hot forging lines based in Suello (LC). Details in the “M&A deals” section of the website. Industria Cartaria Pieretti, an historic company based in Lucca and active in the production of recycled paper and cardboard for industrial use, sold 80% of its share capital to Cartiera dell’Adda. Details in the “M&A deals” section of the website. Openjobmetis SpA, an employment agency listed on the Borsa Italiana MTA, has acquired 70% of the share capital of HC Human Connections Srl. Details in the “M&A deals” section of the website. Pancioc Spa, a company active in the management of the lunch bar chain “Panini Durini” has been acquired by a pool of investors lead by Astraco and to Fondo Impresa Italia managed by Riello Investimenti Partners. Details in the “M&A deals” section of the website. 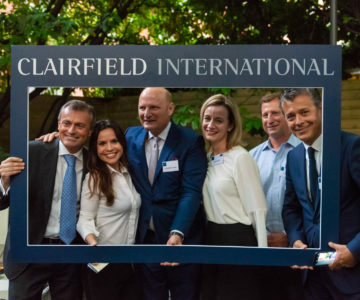 Clairfield Annual Partners Meeting Milan 2018 and Reflections on M&A Market from Clairfield International on Vimeo. Openjobmetis S.p.A., an employment agency listed on the Borsa Italiana MTA, has acquired 100% of the share capital of Coverclip S.r.l., owner of the online platform Meritocracy. Details in the “M&A deals” section of the website. Thank you from K Finance and Clairfield! Our video to thank all our partners and friends who took part to our two day Clairfield International meeting in Milan! Thank you! Our new corporate video is online, you can see it in the homepage of the website. 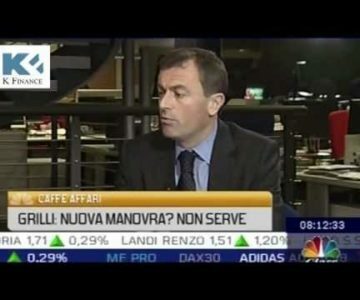 K Finance CEO, Filippo Guicciardi, will be interviewed by da Mariangela Pira Monday May 7 at 7pm at OPEN Milano, for a project created by Giorgio Fipaldini that aims to discover how a creative initiative is typical of leaders of companys that innovate. The Clairfield Annual Review 2018 has now been published. 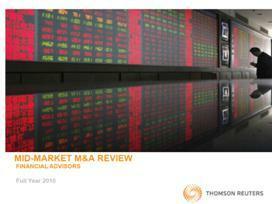 It gives an interesting insight of our market, international M&A, with analysis and data on all the major sectors. By clicking on the image you’ll have access to the whole document. Chiorino Technology, active in the high-quality leather products coating process for top luxury brands, has been sold to a PE fund managed by Arcadia SGR. Details in the “M&A deals” section of the website. Group FIMO, an international leader in the manufacturing and distribution of telecom cable management products, has acquired Polyform SA, a French company specialized in the realization of camouflage solutions for the mobile industry. Details in the “M&A deals” section of the website. The leading Italian software group, Zucchetti spa, acquired a majority stake of DS Data systems (UK) Ltd., a company operating between UK and Italy, developer and owner of KonaKart, a highly successful Java-based B2C and B2B eCommerce software product. Details in the “M&A deals” section of the website. Veronagest sold a wind portfolio, comprising seven energy plants operating in Sicily and Calabria with aggregate installed capacity of 282 MW, to F2i’s Secondo Fondo. Details in the “M&A Deals” section of the website. ATOP, world leader in the manufacturing of automatic lines for the production of electric motors for various industrial and automotive applications was sold to Charme Capital Partners SGR and IMA. Details in the ‘M&A deals’ section of the website. K Finance’s, Italian partner of Clairfield International, research on Italian enterprises’ equity. Download it (in Italian) from the ‘Services – Researches’ section of the website. Orange1 Holding buys Sicme Motori and becomes leader in the industry of industrial electric motors. Details in the ‘M&A deals’ section of the website. ItalGlobal Partners sold CMI, of which it owned 70%, to Guangdong Xingye Investment LLC, which is the controller of the listed Chinese Group Guangdong SACA. Details in the ‘M&A deals’ section of the website. 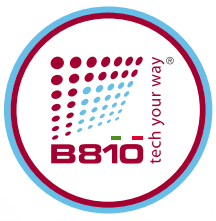 B810 bought 100% of Digicom. Details in the ‘M&A deals’ section of the website. In the ‘Ricerche‘ section you can download the 2017 research on vale creation in the Italian provinces. Elettra Investimenti S.p.A., an Italian industrial holding which develops projects in the energy sector with particular expertise in cogeneration and trigeneration plants, listed on the Italian AIM, has agreed to acquire Tholos S.r.l. from its parent company Dromos Holding S.rl. Details in the ‘M&A deals’ section of the website. 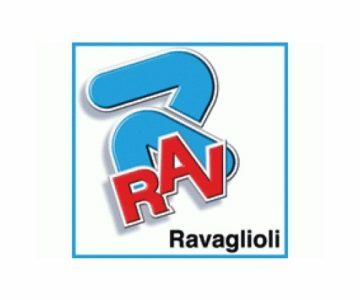 Samiro Group S.p.A., holding company of Ravaglioli Group (“Ravaglioli”), announced today to have sold the entire stake of the company to the American group Dover Corporation (NYSE:DOV), a global company with a business that is active in the production of vehicle service equipment. Detail in the ˝M&A deals˝ section of the website. 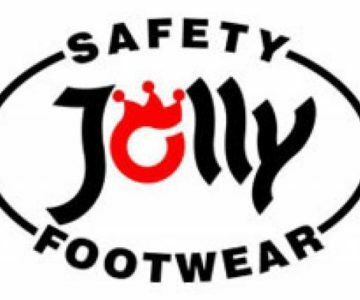 Minerva-Robusto, a Swiss manufacturer of military safety shoes, has acquired from the Italian private equity fund Aksia Group Jolly Scarpe S.p.A., an Italian manufacturer of safety technical shoes for Military, Law Enforcement and Firefighters use. Details in the ˝M&A deals˝ section. Smartbox Group, the pioneer of experience gifts, reinforces its position as the market leader in Italy and Europe with the acquisition of Wish Days. Details in the ´M&A deals´ section. Atlas Copco, a leading provider of sustainable productivity solutions, has agreed to acquire from the Lucchi Family FIAC S.p.A., an Italian manufacturer of piston compressors and related equipment with a global sales network. Details in the ´M&A deals´ section. Groupe RG, a French leading distributor in the field of Personal Protective Equipment (PPE), backed by PE fund Abenex, enters the Italian market through the acquisition of the Italian company A+A Monferrato. Details in the ´M&A deals˝ section. One Express Spa, a company specialized in express delivery transport of palletized freight, sold a minority stake to 20 member companies of its network. K Finance, member of Clairfield International, acted as financial advisor to OneExpress in this transaction. Details in the ˝M&A deals˝ section. The US Group ParkOhio (NASDAQ: PKOH) has acquired, from Italy based private equity Star Capital and other minority shareholders, SAET S.p.A. headquartered in Turin, Italy for Euro18.4 million in cash. Details in the ˝M&A˝ deals section. Rollon, the international group based in Vimercate, world leader in the production of linear motion systems for various sectors, from railways to aerospace, machine tools and medical equipment, has taken over the German company Hegra which specialises in the production of telescopic and linear guides. Details in the ˝M&A deals˝ section. 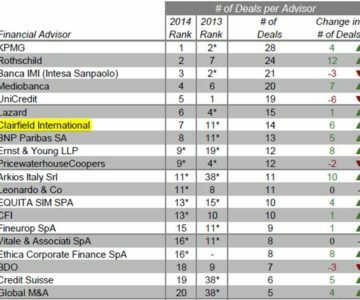 K Finance, Italian partner of Clairfield International, is 7th in Italy (1st of the independent advisors) for number of closed deals in 2014, according to Thomson Reuters League Tables. 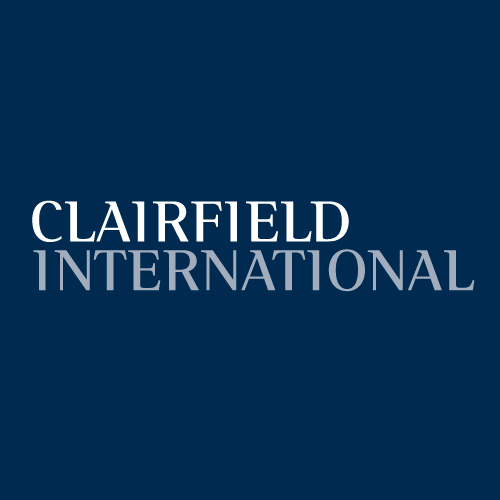 Clairfield International is 9th in Europe. Raccortubi sold a minority stake to the fund Synergo. 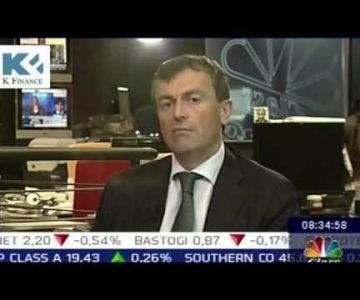 The sell was made in order to finance the acquisition of Petrol Raccord. Details in the ˝M&A deals˝ section. Raccortubi S.p.A. acquired 100% of the share capital of the Italian company Petrol Raccord S.p.A. K Finance, member of Clairfield International, acted as financial advisor to the buyer. Details in the ˝M&A deals˝ section. 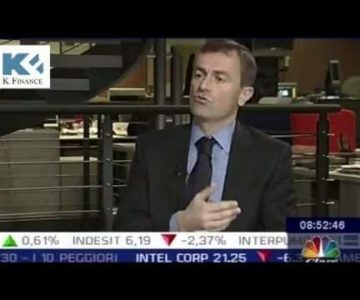 K Finance for Confindustria Modena: which future for the enteprises after the earthquake? Ferro Corporation (NYSE: FOE, “Company”) bought from Milan, Italy-based Private Equity Funds’ Management Company Star Capital SGR S.p.A. and from two minority owners Italy-based Vetriceramici S.p.A. Details in the ˝M&A deals˝ section. Automa Spa sold three of its four divisions to different buyers. K Finance was advisor to Automa in all the deals. Details in the ˝M&A deals˝ section. 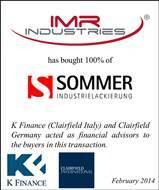 K Finance, Italian partner of Clairfield International, acted as financial advisor to the sellers. Details in the ˝M&A deals˝ section of the website. 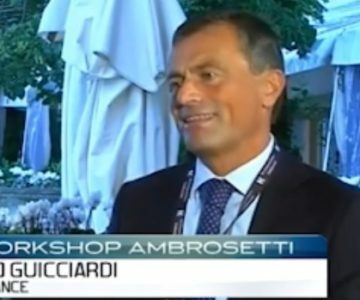 Filippo Guicciardi is interviewed from ClassCNBC at the 40th edition of the annual Ambrosetti Workshop that takes place in Cernobbio, Lake Maggiore. 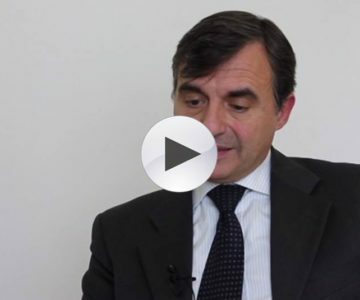 In this video, Filippo Guicciardi, K Finance CEO, tells us the ˝sentiment˝ that surrounds the M&A market in these days. The South African company Bidvest bought a majority stake of the Italian Gruppo DAC. K Finance advised Bidvest. The details in the ˝M&A deals˝ section of the website. 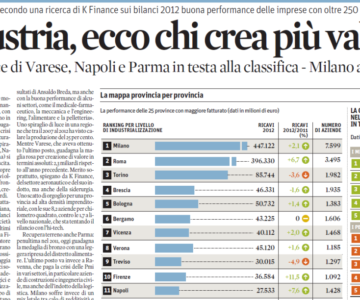 Today´s Il Sole 24 Ore publishes the second edition of K Finance´s research, in collaboration with Borsa Italiana, on Italian provinces value creation, focussed this year on 2011-2012: Napoli on top, Ravenna in the last position. The research is free to download in the ˝Researches˝ area of the website. Here´s the link to the article. K Finance advised the owners of DEI Srl in the sale of 100% of their shares to ELFI spa. Thanks to the transaction, Elfi will reach EUR 100 million in annual revenues, becoming one the most important players in the wholesale distribution of electric materials in Northern Italy. Details in the ˝M&A deals˝ section. K Finance, the Italian partner of Clairfield International, is at number 1 in Q1 2014 of Thomson Reuters Small Cap league tables according to number of deals and Clairfield International is 6th in Europe. After the 8 deals closed in 2013, this is effectively a good start of year for K Finance. 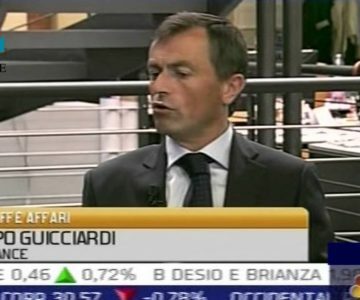 K Finance takes part for the tenth time to STAR Conference, the event dedicated to the companies listed on the STAR Segment of Borsa Italiana, to the international investors and to the whole financial community. Come and join us at our stand, Tuesday 25 and Wednesday 26 March 2014. 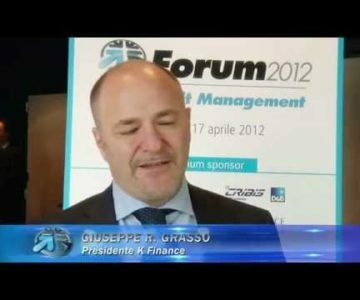 In this new meeting of K Finance´s videoforum ´KF Conversation˝, Giuseppe R. Grasso and Filippo Guicciardi talk with Gabriele Gori, Banca MPS Corporate Area Responsible, about minibonds. As part of the voluntary liquidation of Romi Italia, the Sandretto business, historical Italian brand of injection moulding machines for plastic, has been sold to a pool of Italian entrepreneurs, gathered under the newco Scout One, controlled by the listed company Photonike. Details in the ˝M&A˝ section of the website. 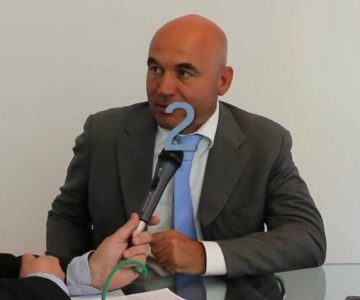 Consorzio Assoutility has sold Axopower’s shares to Ambrosiana Energia, a company participated by Ambrogest and the three managers of Axopower. Details in the ˝M&A deals˝ section of the website. K Finance has been advisor to the listed Swiss automotive parts group Autoneum Holding AG in the sell of Autoneum Italy to mutares AG, the German based listed investment company based in Munich. All the details in the ˝M&A deals˝ section of the website. 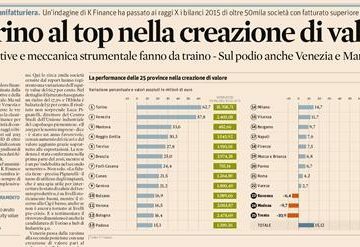 Today´s Il Sole 24 Ore publishes K Finance´s research, in collaboration with Borsa Italiana, on Italian provinces value creation in 2009-2011: Bologna on top, Varese in the last position. The research is free to download in the ˝Researches˝ area of the website. Here instead you can find the article (in Italian). Private Equity Investor Fondo Italiano di Investimento has injected Euro10m into winding and automatic assembly systems provider Marsilli & Co in exchange for a minority stake. 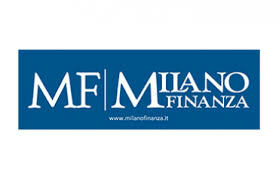 K Finance has been advisor to Marsilli. Details in the ˝M&A deals˝ section of the website. According to a K Finance study, the key sector for M&A will be high quality food. The fund Clessidra has acquired a majority stake of Bitolea Chimica Ecologica. The Intini family, founder of the business in 1978, remains in charge of the company.  Details in the websiste section ˝M&A deals˝. 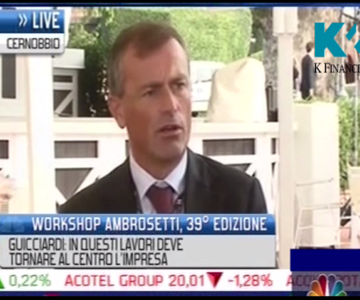 The President of K Finance, Giuseppe Renato Grasso, in a conference at EIRE, the most important Italian Real Estate Exhibit: ´ Light rating differences mean great competitive advantages in the access to credit´. 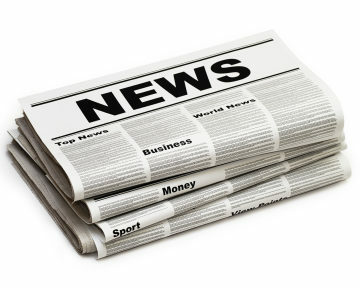 In the ´Press˝ section the full press release. The Brasilian listed company Indústrias Romi S.A. today announced the buying from Gruppo Riello Sistemi, one of the most important Italian Groups operating in the Machine Tools business, of the total shares of Burkhardt+Weber Fertigungssysteme GmbH for Euro 20,5 million in cash. Details in the ˝M&A deals˝ section. Groupe RG, a leading French distributor in the field of Personal Protective Equipment (PPE), backed by the PE fund Abenex, enters the Italian market through the acquisition of the Italian company A+A Monferrato. Details in the ´M&A deals˝ section. One Express Spa, a company that specializes in the express delivery of palletized freight, sold a minority stake to 20 member companies of its network. K Finance, a member of Clairfield International, acted as the financial advisor to OneExpress in this transaction. Details in the ˝M&A deals˝ section. 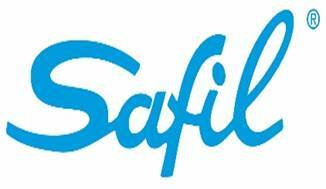 Südwolle Group, a leading global producer of worsted yarn for weaving, announced that it has acquired a 100% stake in Safil S.p.A. as well as an 80% stake in Gruppo Tessile Industriale (GTI) S.p.A., both Italian based worsted yarn manufacturers. K Finance was the advisor to the sellers. Details in the ˝M&A deals˝ section. 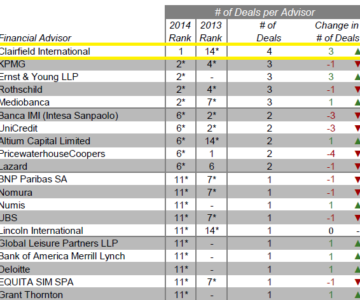 K Finance, the Italian partner of Clairfield International, is 7th in Italy (1st of the independent advisors) for the number of closed deals in 2014, according to Thomson Reuters League Tables. 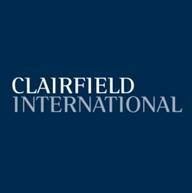 Clairfield International is 9th in Europe. Raccortubi sold a minority stake to the fund Synergo. The sale was made in order to finance the acquisition of Petrol Raccord. Details in the ˝M&A deals˝ section. Raccortubi S.p.A. acquired 100% of the share capital of the Italian company Petrol Raccord S.p.A. K Finance, a member of Clairfield International, acted as the financial advisor to the buyer. Details in the ˝M&A deals˝ section. The US Group ParkOhio (NASDAQ: PKOH) has acquired, from the Italian based private equity Star Capital and other minority shareholders, SAET S.p.A. headquartered in Turin, Italy for 18.4 million Euros, in cash. Details in the ˝M&A˝ deals section. Ferro Corporation (NYSE: FOE, “Company”) bought from Milan, Italian-based Private Equity Funds’ Management Company, Star Capital SGR S.p.A., and from two minority owners Italian-based Vetriceramici S.p.A. Details in the ˝M&A deals˝ section. Automa Spa sold three of its four divisions to different buyers. K Finance was the advisor to Automa in all the deals. Details in the ˝M&A deals˝ section. K Finance, the Italian partner of Clairfield International, acted as the financial advisor to the sellers. Details in the ˝M&A deals˝ section of the website. K Finance advised the owners of DEI Srl in the sale of 100% of their shares to ELFI spa. Thanks to the transaction, Elfi will reach 100 million EUR in annual revenues, becoming one the most important players in the wholesale distribution of electric materials in Northern Italy. Details in the ˝M&A deals˝ section. K Finance, the Italian partner of Clairfield International, is at number 1 in Q1 2014 of Thomson Reuters Small Cap league tables according to number of deals, and Clairfield International is 6th in Europe. After the 8 deals closed in 2013, this is effectively a good start of year for K Finance. 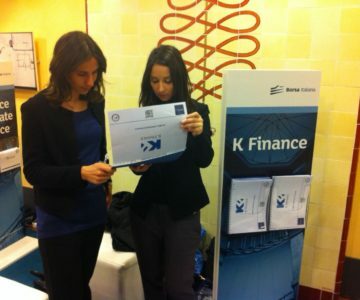 K Finance takes part, for the tenth time, in STAR Conference, the event dedicated to the companies listed on the STAR Segment of Borsa Italiana, the international investors, and the whole financial community. Come and join us at our stand, Tuesday 25 and Wednesday 26 March 2014. As part of the voluntary liquidation of Romi Italia, the Sandretto business, a historical Italian brand of injection moulding machines for plastic, has been sold to a pool of Italian entrepreneurs. It is gathered under the newco Scout One, controlled by the listed company Photonike. Details in the ˝M&A˝ section of the website. Consorzio Assoutility has sold Axopower’s shares to Ambrosiana Energia, a company made up of Ambrogest and the three managers of Axopower. Details in the ˝M&A deals˝ section of the website. Private Equity Investor Fondo Italiano di Investimento has given 10 million Euros into winding and automatic assembly systems provider Marsilli & Co in exchange for a minority stake. K Finance has been the advisor to Marsilli. Details in the ˝M&A deals˝ section of the website. New video on K Finance’s YouTube channel. 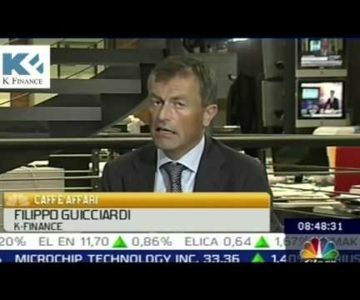 In ´Caffè Affari´ on ClassCNBC Filippo Guicciardi talks about the crisis and the entrepreneur´s loneliness. 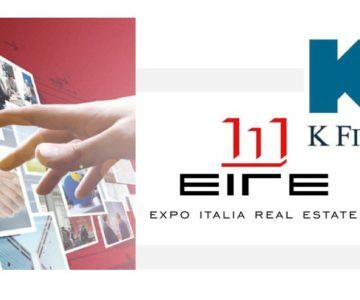 The President of K Finance, Giuseppe Renato Grasso, in a conference at EIRE, the most important Italian Real Estate Exhibit:,” Light rating differences mean great competitive advantages in the access to credit.” In the ‘Press’ section the full press release. The Brazilian listed company Indústrias Romi S.A. announced today the buying from Gruppo Riello Sistemi, one of the most important Italian Groups operating in the Machine Tools business, of the total shares of Burkhardt+Weber Fertigungssysteme GmbH for 20.5 million Euros in cash. Details in the ˝M&A deals˝ section. Outokumpu and Andrea Gatti have signed the final agreement for the purchase of 36% of OSTP by Tubinoxia. K Finance advised Mr Gatti. The details in the ˝M&A deals˝ section of the website. 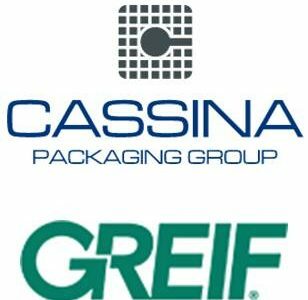 K FINANCE ADVISOR TO CASSINA PACKAGING GROUP IN THE SALE OF FUSTIPLAST TO GREIF INC.
K Finance has advised the managers of Sedoc Digital Group, an ICT company headquartered in Reggio Emilia (Italy), in the acquisition of 70% of the Company from Mariella Burani Fashion Group, thus reaching 100%. Details in ˝M&A deals˝ section. K Finance announces the restructuring of the financial debt of Vetriceramici Spa towards MPS Capital Services Banca per le Imprese Spa and Efibanca Spa for a total amount of 22 million EUR. Details in the ˝M&A deals˝ section of the website. K Finance has advised FontanaArte in the sale to Nice of a majority stake. Please find the details of the deal in the ˝M&A deals˝ section of the website. K Finance has advised Gruppo Salice in the acquisition of a minority stake of Bortoluzzi Sistemi. Details in the ´M&A deals´ section of the website. K Finance has advised Safil, active in the production of worsted yarns, in the buying of Erredi. Details in the ´M&A deals˝ section of the website. Mid Industry Capital acquired 100% of Mar-Ter Spedizioni from the fund ´Wisequity II & Macchine Italia´ (managed by Wise SGR). K Finance acted as an advisor to Wise SGR. The details in the ´M&A deals´ section. In ˝Basel 2˝ section you can download the new edition of the traditional K Finance Research on the average ratings of Italian manufacturing industry. K Finance releases the new Internet website. There is a new layout, more languages, and, most importantly, an all new M&A database that is updated daily.